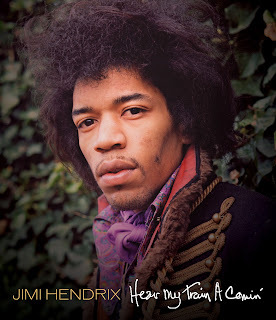 A new feature-length film entitled “Jimi Hendrix - Hear My Train A Comin'” is one of two releases due this fall featuring the late guitar icon. Airing as part of the PBS American Masters Series on November 5 and available on DVD and Blu-ray the same day, the documentary traces the guitarist's remarkable journey from his hardscrabble beginnings in Seattle, through his stint as a US Army paratrooper, unknown sideman to R&B stars such as Little Richard, Joey Dee and the Isley Brothers, and his discovery and ultimate international stardom. “Hear My Train A Comin’” unveils previously unseen performance footage and home movies taken by Hendrix and drummer Mitch Mitchell while sourcing an extensive archive of photographs, drawings, family letters and more to provide new insight into the musician's personality and genius. The two-hour documentary tells the definitive story, illustrated by interviews with Hendrix and illuminated with commentary from well-known friends and musicians including Paul McCartney, Noel Redding, Mitch Mitchell, Billy Cox, Eddie Kramer, Steve Winwood, Vernon Reid, Billy Gibbons, Dweezil Zappa and Dave Mason, as well as revealing glimpses into Jimi and his era from the three women closest to him: Linda Keith (the girlfriend who introduced Jimi to future manager Chas Chandler), Faye Pridgeon (who befriended Hendrix in Harlem in the early 1960s) and Colette Mimram, (one of the era's most influential fashion trendsetters who provided inspiration for Hendrix's signature look and created such memorable stage costumes as the beaded jacket Hendrix famously wore at Woodstock). The film details the meteoric rise of the Experience, the creation of his groundbreaking music, the building of Electric Lady Studios, his state of the art recording facility in Greenwich Village and concludes with poignant footage from his final performance in Germany in September 1970, just 12 days before his death at age 27. “Hear My Train A Comin'" is directed by the award-winning director Bob Smeaton (Festival Express; The Beatles Anthology; Jimi Hendrix: Voodoo Child; Hendrix 70: Live at Woodstock). 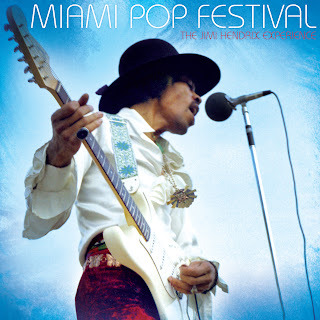 The expanded DVD features an array of special features highlighted by never-before-released film footage featuring performances filmed at the Miami Pop Festival, the July 1970 New York Pop Festival, and the September 6, 1970 Love & Peace Festival at the Isle Of Fehmarn in Germany — the final performance by the Jimi Hendrix Experience. The HD DVD features new stereo and 5.1 surround mixing by Hendrix's engineer Eddie Kramer. Also coming on November 5, “Jimi Hendrix Experience: Miami Pop Festival” is the first-ever release of one of the guitar virtuoso's most sought-after performances, as originally recorded on site by Hendrix's long term sound engineer, Eddie Kramer. Never available in any form, “Miami Pop Festival” is being released as a single CD and a limited edition numbered double 12" audiophile vinyl set (all analog cut by Bernie Grundman, pressed at QRP on 200 gram vinyl). "Jimi Hendrix Experience: Miami Pop Festival" introduces the first recorded stage performances of "Hear My Train A Comin'" and "Tax Free" while showcasing definitive live takes on such classics as "Fire", "Hey Joe", "I Don't Live Today" and "Purple Haze." The package includes never-before-published photos taken at the festival and an essay by award-winning music journalist and Grammy Museum Executive Director Bob Santelli. The first ever major rock festival staged on the East Coast, the May 1968 Miami Pop Festival was the first event promoted by Michael Lang – who would organize Woodstock, the biggest pop culture event of the decade, fifteen months later – and Ric O'Barry, who had been the dolphin trainer for the popular television program Flipper. Lang and O'Barry had been inspired by the June 1967 Monterey Pop Festival, the groundbreaking gathering where Hendrix, making his US debut, famously set fire to his guitar at the conclusion of his performance. Lang staged the festival at Gulfstream Park in Hallandale, Florida, securing the Jimi Hendrix Experience as the headline act for the two-day festival.